 ONRAD's Interventional Radiology Approach to Acute Pulmonary Embolism Treatment - ONRAD, Inc.
As an innovative national provider of onsite radiology and teleradiology services, ONRAD fosters cooperative relationships and alligns with its hospital partners to provide quality patient care to fulfill the needs of the communities we serve. ONRAD’s Radiological Group at Presence St. Mary’s Hospital in Kankakee, IL exemplifies how ONRAD is able to collaborate with its hospital partners to enhance the Radiology Departments level of clinical service while establishing themselves as active partners amongst the medical staff, hospital administration and the community at large. Presence St. Mary’s Hospital’s advanced Interventional Radiology technology provides its community with access to high quality, subspecialized imaging services, 24 hours a day, 7 days a week, 365 days a year. Under the leadership of Farid Shafaie MD, St. Mary’s Radiology Department’s continues to elevate its patient care while improving its overall performance by understanding the critical business objectives of the hospital and how radiology supports those endeavors.